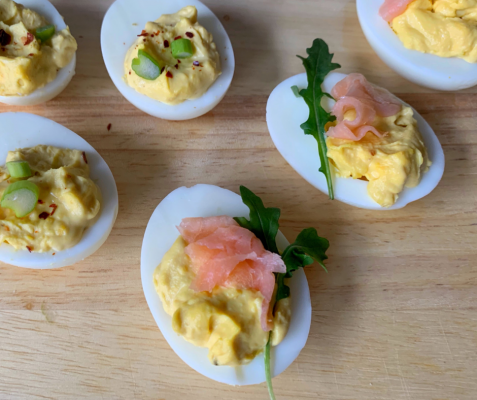 Typically made with hard-boiled eggs, mayonnaise, mustard, wine vinegar, and salt and pepper, deviled eggs are easy to make, versatile to many toppings, and are the ultimate party appetizer! They can even be prepared a day before (just fill them prior to serving). 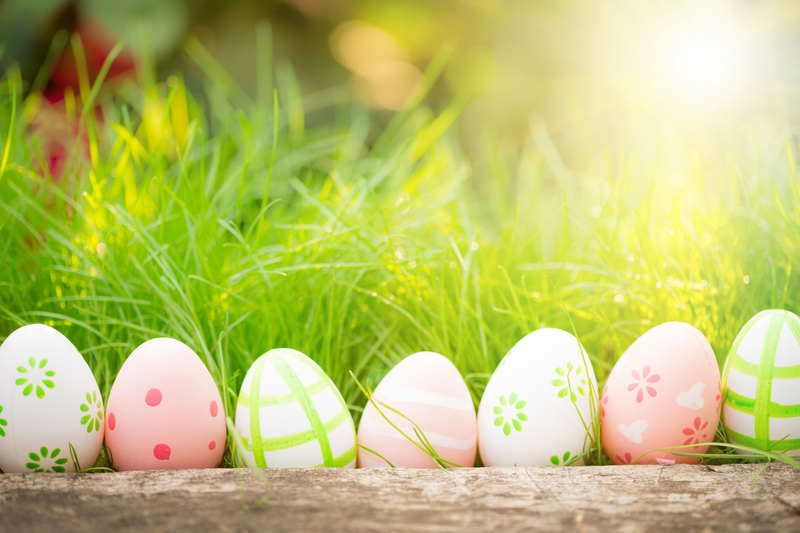 Peel and cut the hard-boiled eggs lengthwise into halves. 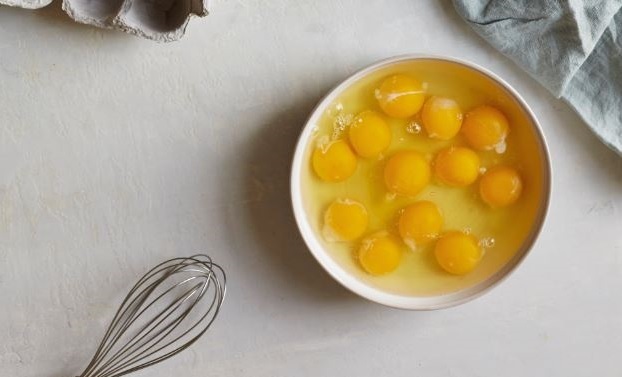 Scoop out yolks and place yolks in a bowl. To the bowl of egg yolks, add the mayonnaise, mustard, vinegar, plus salt and pepper. Mash well with the back of a metal spoon. Mix thoroughly until well-combined. Spoon egg yolk mixture back into the egg whites. 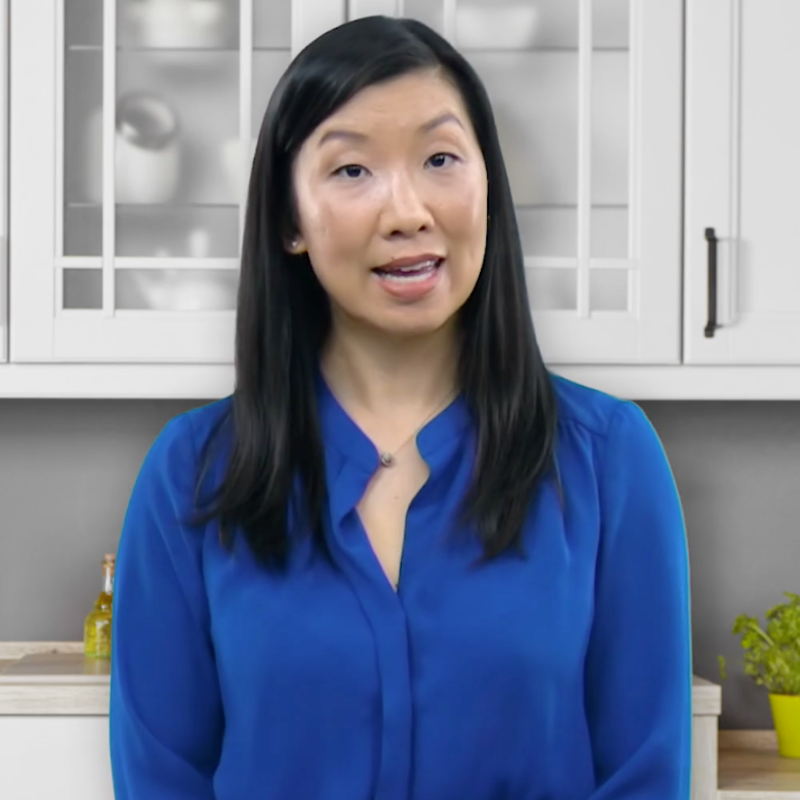 Serve plain or add desired toppings like red pepper flakes, paprika powder, chopped chives or scallions, smoked salmon, avocado, or micro greens.